Spread guacamole in the bottom of a serving dish. 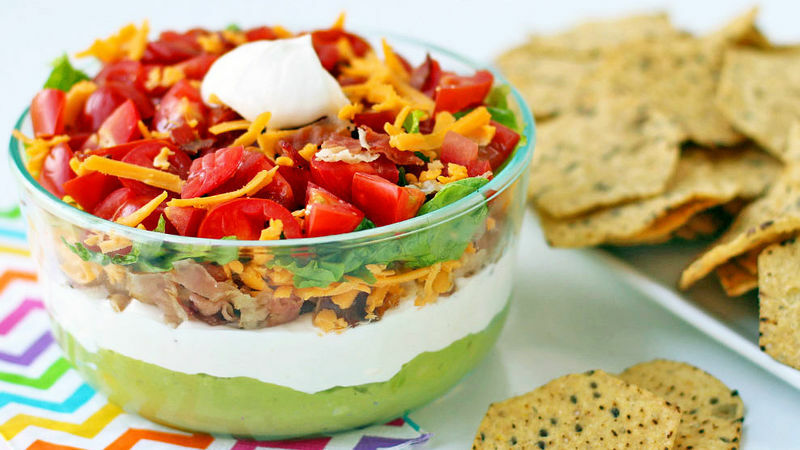 Stir yogurt, mayonnaise, ranch dressing, and cream cheese together until well blended and layer on top of the guacamole. Layer on bacon, cheese, lettuce and tomatoes on top. If you make this dip ahead of time, add the lettuce and tomatoes just before serving.